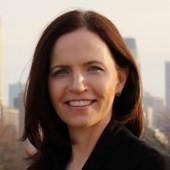 Dr. Anne Brennan Malec is the founder and managing partner of Symmetry Counseling, a counseling, coaching, and psychotherapy group practice located in downtown Chicago. She has been the driving force behind Symmetry Counseling’s success — what started in 2011 with a team of five counselors has expanded to over 25 counselors in two loop locations. Dr. Malec, who had an earlier career in business, made a significant shift in 2000 when she began her training in the fields of Marriage and Family Therapy and later, Clinical Psychology. Dr. Malec earned her Bachelor’s degree from Villanova University in Accountancy and holds two Master’s degrees: one in Liberal Studies from DePaul University, and one in Marital and Family Therapy from Northwestern University. Dr. Malec earned her Doctoral degree in Clinical Psychology from the Chicago School of Professional Psychology. She gained significant clinical training and experience from affiliations with The Family Institute at Northwestern University, Neuropsychological, and Rehabilitation Consultants, Chicago Center for Family Health, Advocate Masonic Ravenswood Family Practice Medical Center, Jesse Brown Veterans Affairs Medical Center, and the University of Chicago Medical Center. Dr. Malec believes that clients seeking counseling services desire tools for living a better life, and she strives to provide those tools. She does not push change on clients, but rather helps them articulate how they want their lives to be, and then collaboratively sets out to put the foundation in place to create that life. Dr. Malec feels that clients gain the most from the counseling experience when they feel supported, encouraged, and understood by their therapist. The therapeutic environment provides clients the opportunity to make changes or adapt how they engage and interact in their most significant relationships. This process works best in a warm, empathetic, and non-judgmental space, which Dr. Malec provides. While Dr. Malec usually meets with clients in her office, she understands that in some circumstances, clients may prefer to meet in their offices, and she may be available to do so. Dr. Malec, in 2015, published her first book, Marriage in Modern Life: Why it Works, When it Works. In addition, she was honored to be named the Alumni of the Year by the Family Institute at Northwestern University. Dr. Malec is currently a member of the American Family Therapy Academy, American Psychological Association, American Association of Marriage and Family Therapists, Alumni Advisory Board of the Family Institute of Northwestern University, Professional Women’s Club of Chicago, and The Financial Therapy Association. Individual sessions are provided for 45 minutes for $150 or 60 minutes for $175. Couples sessions are $165 for 50 minutes. Fees for half-day (4 hours) intensive sessions for couples in distress can be discussed with Dr. Malec. Fees for sessions taking place in client offices or over Skype can be discussed directly with Dr. Malec as well. She is currently accepting new clients who have Blue Cross Blue Shield PPO or are self-payers. As a courtesy, Dr. Malec does request that you cancel appointments within a reasonable amount of time. There is a charge for sessions canceled within 24 hours of an appointment unless illness or unusual circumstances exist.